Cost effective security solutions for Lincolnshire farmers. 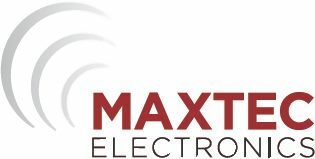 Maxtec Electronics have gained over 20 years’ experience providing security solutions to domestic Homes right through to large Agricultural/Industrial Sites using the very latest Wired & Wireless Technologies. We are a Lincolnshire based Company that has a vast amount of knowledge on many systems such as Intruder Alarms, CCTV, External Detection, Access Control etc… making us the ideal company to choose when it comes to your Security. We design & install all our systems with the customer in mind, we don’t just offer what’s available on the market, we often modify/custom build equipment so you get the right system that works for you. Our installations are done to the highest of standards and come complete with 12 months guarantee. Our reputation is well known for this, ask any of our customers! Most system repairs are usually carried out on site and can get you back up working immediately regardless if we have installed your system or not. We have a vast amount of knowledge on various different types of systems making us universal to the industry. We recommend a yearly check of equipment as this keeps the operation of the system in tip top condition and often a requirement from Insurance Companies. Our experience & knowledge enables us to take over most systems. Whether you are experiencing problems, wishing to extend or upgrade your current system then talk to us! We are a very competitive company with high standards, why go elsewhere? We don’t need power, cables or phone lines for Our Systems to work - we achieve long distances using this equipment.